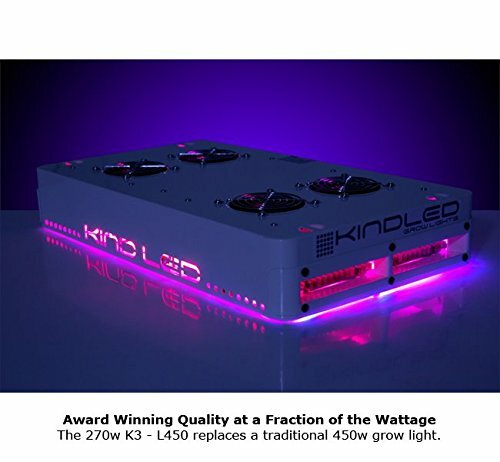 After years of research and development aimed at improving LED grow lights, the founders of Kind LED came up with the Kind LED K3 Series L450 Indoor LED Grow Light. 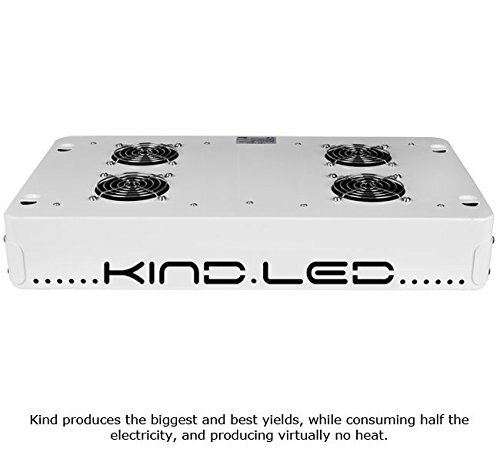 Part of the hugely popular K3 Series from Kind LED, the L450 offers growers the same impressive results as what you’d expect from HID (High Intensity Discharge) lighting systems, but with minimal heat output and lower power consumption. The success of the K3 Series is thanks in part to the pioneer LED lights which did not live up to initial expectations. While they liked the sound of reduced power bills and less byproduct heat, growers found the early LED grow lights didn’t produce the same lush growth as the more costly to run HID lights. The founders of Kind LED began by asking “why?” and worked from there, utilizing their own decades of personal growing experience. The end result is a high tech grow light that delivers superior results at a fraction of the running cost. In order to produce an indoor LED light that would mimic ideal growing conditions, Kind LED developed a 12 bandwidth color spectrum in the L450, containing a total of 120 x 3 watt diodes. This setup is the equivalent of a 450 HID light, but operating at only 270 watts it uses substantially less power. Each of the individual diodes is set to a specific color so that the L450 indoor LED grow light can emit the precise range best suited to help a growing plant flourish. So rather than incorporate an array of specific colored grow lights for various stages of the growth cycle, growers can instead invest in one multi bandwidth grow light that will be suitable for all stages of growth, from planting to cultivation. 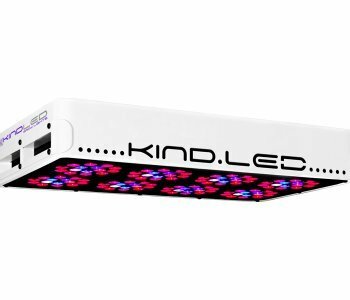 Kind LED K3 Series lights use a revolutionary secondary optical lens which maximizes light penetration to all areas of growing plants, boosting photosynthesis production and ensuring healthy growth. This secondary optical lens means light reaches even under the canopy, thereby boosting production and final plant yield. With a Kind LED K3 Series L450 indoor grow light, growers will be able to set up grow rooms that are less complicated (with no need for additional cooling equipment), more cost effective to run and that are suitable for growing a full range of vegetables, flowers and fruits. High tech grow light that delivers superior results at a fraction of the running cost. Each diode is set to a specific color to emit the precise range best suited for growth. Operating at only 270 watts it uses substantially less power than a comparable HID light. 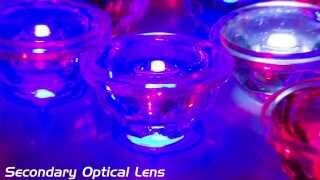 Invest in one multi bandwidth grow light that will be suitable for all stages of plant growth. Grow rooms that are less complicated, with no need for additional cooling equipment.